Ah well. It's tardiness is made up for with the amazing goodies inside. The team behind Cravebox must have listened well when their subscribers received the December box. While it wasn't a bad box, it wasn't very exciting either. January's Cravebox is The 2012 Vitality Box focusing on 'your health inside & out'. Definitely a well thought out box for the month when people seem most motivated to make healthy lifestyle changes such as eating right and getting more exercise. 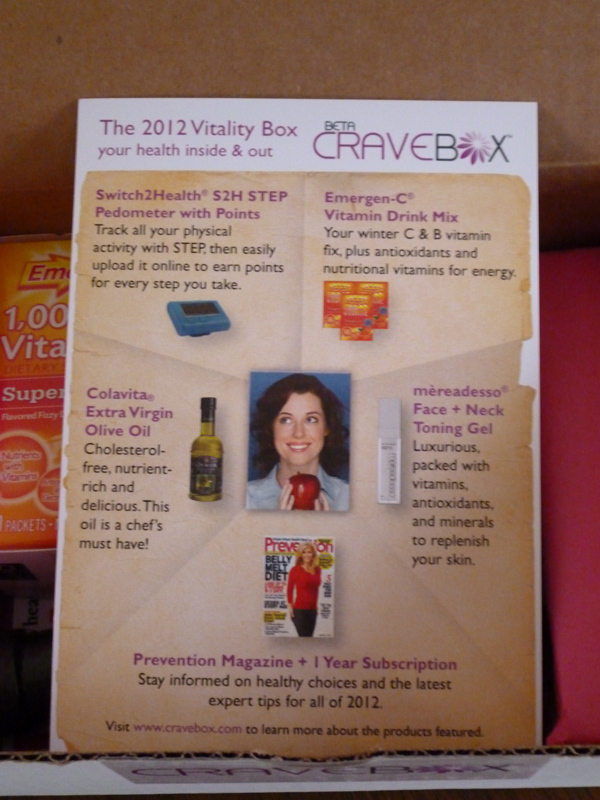 The Vitality Box features five products. My initial reaction was some serious happy dancing. Everything in this box appeals to me unlike the December box. 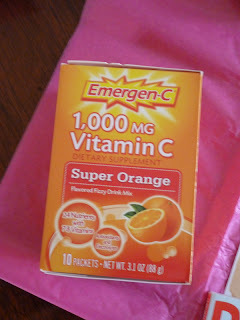 With a house full of sick people I literally was tearing into my Emergen-C packets within five minutes of opening the box. I've been a fan since back in the early 80's. My nana is a vegetarian and has been since long before I was born, she's very health and eco-concious, so trips to the health food store were normal for me since I can remember. Back then the only flavor was Lemon-Lime and I remember the original packaging vividly. Any time we were sick mom would bust out the Emergen-C packets and we'd down them alongside regular medications. As an adult I have always had them in my house. I would drink them during my pregnancies to help ward off colds and suppliment my vitamin intake. Now I take them whenever I travel or am feeling particularly sluggish. I love the fizzy bubbles and since they branched out from health food stores into mainstream markets several years ago they have so many flavors! I'll always like the Lemon-Lime best but Pink Lemonade, Raspberry, and Tangerine are all good too. I could swear they had a plain Cranberry version at some point that I loved but now they have Cranberry-Pomegranate which I have got to try next time I purchase some. 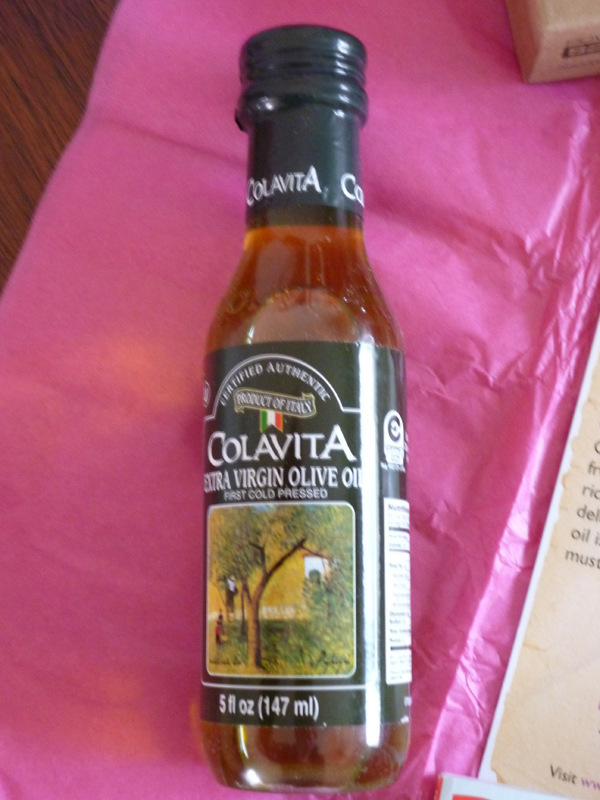 I've honestly never tried Colavita's olive oils before. Everyone asks what my secret is when I make from-a-box brownies. It's using extra virgin olive oil instead of vegetable oil. It gives them a dense, rich flavor and gooey fudge-like texture. Though I occasionally use other oils for certain types of cooking olive oil is my go-to for everyday. Because it is a plant based oil, it's cholesterol-free and contains healthy fats which make it a healthy choice. Want to know more about the health benefits of olive oil? This Q&A from the Mayo Clinic explains them really well. Like all things the great advice my great-grandfather gave me before passing away from cancer at 95-years-old stands: 'everything in moderation'. But I'm in my 30's now and health scares of my own have changed my outlook on the longevity I always assumed I would inherit. I'm already a magazine nut receiving ten subscriptions a month (down from last year actually) and had recently been considering adding one more health focused to my list. 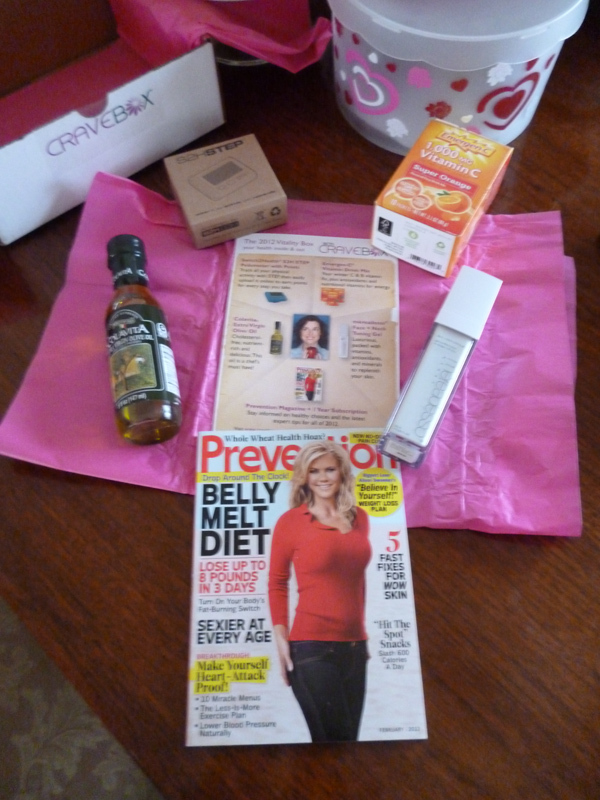 Included in January's Cravebox is the February issue of Prevention Magazine and they passed along our mailing address so we will have a full year's subscription. 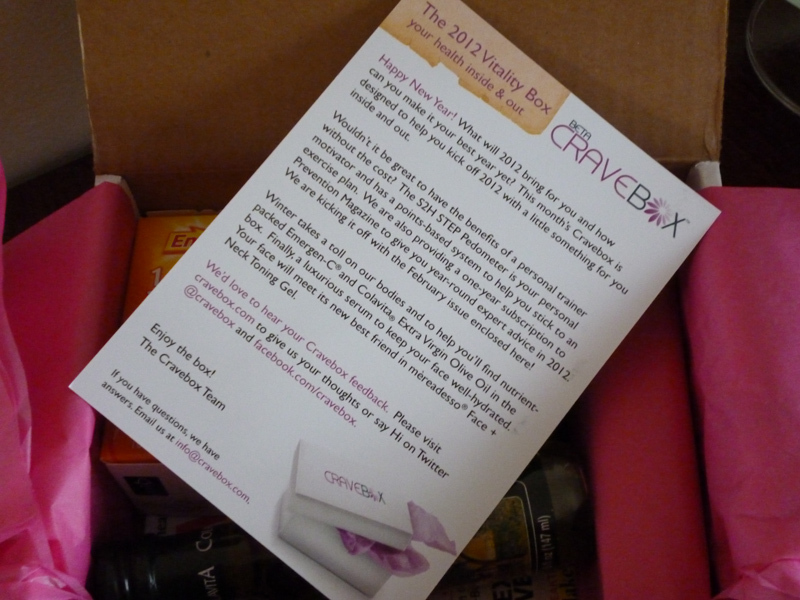 The night I got my box I read nearly half of it! Now I know why gramma and grampa were fans. So much information and truly an all ages magazine, not the senior special I had expected. I hope Prevention doesn't mind but I photographed the contents pages of the issue so you can see the topics discussed this month. 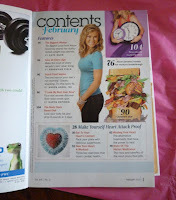 The sections focusing on heart health in particular were great. I have got to start thinking about my heart health now rather than waiting until something goes wrong. Isn't that what prevention is? Thank you so very much to both Cravebox and Prevention Magazine for making this part of the box. 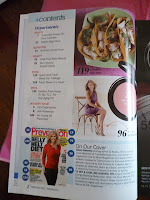 I am sooo thrilled with it and excited for the next issue. Next I have to cover my favorite part of the box. I LOVE the Mereadesso Woman Beautiful Body Balm from the December Cravebox. I've actually been hording it and only using it on my tummy and hands. 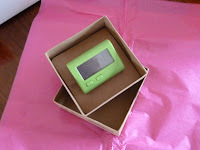 (I'll be sharing some photos and a real review later this month for the Body Balm so stay tuned!) It's an amazing product and well worth the high price even though it's not within my means to buy it. I've even had the hubs using it on his tummy to soften his surgical scars the way it did for mine. 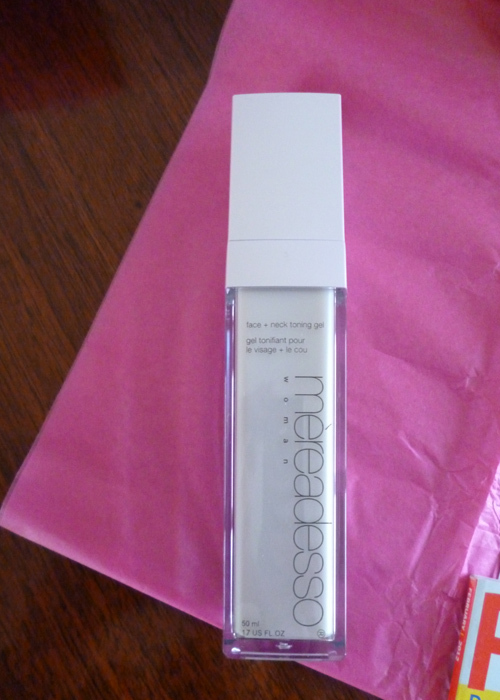 January's box included the one product I was desperate to try but cannot afford, the Mereadesso Woman Face + Neck Toning Gel. With a pricetag of $120 this is simply not something I could fit into my budget. It's almost a whole day's pay! While it's no drugstore bargain it's already something I know I will be saving up for or asking for at Christmas. Mereadesso's standard is impressive. You don't find a bunch of perfumes and dyes or funky gunk in their products. Every ingredient is something you can pronounce and probably know lots about already from Aloe and Witch Hazel to Chlorophyl and White Tea. It has a pleasant smell, and pale green hue from the herbal extracts, spreads on smooth and in just 3 days my skin is recovering from the horror another recent product I tried wreaked on it. When I got up this morning my skin looked balanced, I can't think of another word that suits it. My rosacea was calmer than it's been in months. My forehead is usually oily in the morning but today it wasn't oily or dry it was perfect! My breakout from hell is clearing up and my skin is soft, even on the glowy side. I ♥ that Mereadesso's products are made in Canada instead of somewhere overseas and that the company seems truly devoted to making a healthy, quality product line without tacking on a bunch of 'jargon' and trendy names like 'all-natural' and 'organic' to lure in consumers. It's all very straight-forward and simple down to the packaging. Finally! I am so done with companies labeling things whatever the customer wants to hear just to sell 'snake oil'. 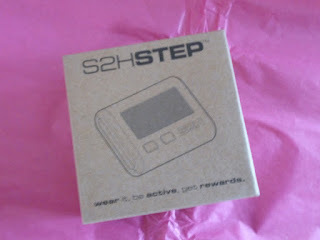 Lastly, and not least by any means, is the Switch2Health STEP pedometer. It comes in four colors, I wish mine had been the gray (so it wouldn't be really obvious to my handsy toddler) but I got the green (my fave color). I can't recall where I heard about the Switch2Health pedometer actually. I know I read about it in a magazine a while back and thought it was such a genius idea. You clip on your pedometer and get moving, when you hit 10,000 steps your pedometer gives you a code to enter into the S2H.com website and you build up points which can be redeemed for rewards. It's pretty easy to set up and you will, of course, need a way to access an online account—so this wouldn't be great for say, my computer/netless grandmother—which is great in this gadget mongering age. The first night I popped it on and just went about my normal routine. I hit 624 steps before bed but then it randomly started over again at 0 after I hit 2,240 the next day. I'll have to read more on it before I figure out if it was accidental or if it's supposed to do that. Needless to say I'm averaging about 2,800 steps a day so far so if I want to hit 10,000 I better get moving more. 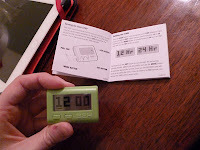 They also have an activity bracelet that works differently. I'm going to have to look into that one for my kids. The rewards currently available don't seem very exciting for me but it looks like they have had others in the past so I can only guess they rotate as new sponsors are introduced. I just love the idea though. It's much easier to get motivated when you know you're getting a reward. So as a whole this box is just about as exceptionally good as it can get. With the products included rounding out to just shy of $170 in value... this box was a steal! 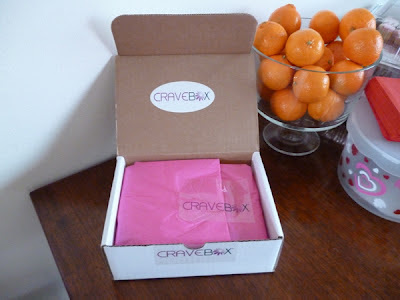 I am officially glad I was one of the first people who subscribed to Cravebox, I was honestly iffy on it since there was no previous box to gage the value on at the time the beta started. Now I know this is going to be the best $10 I spend every month. 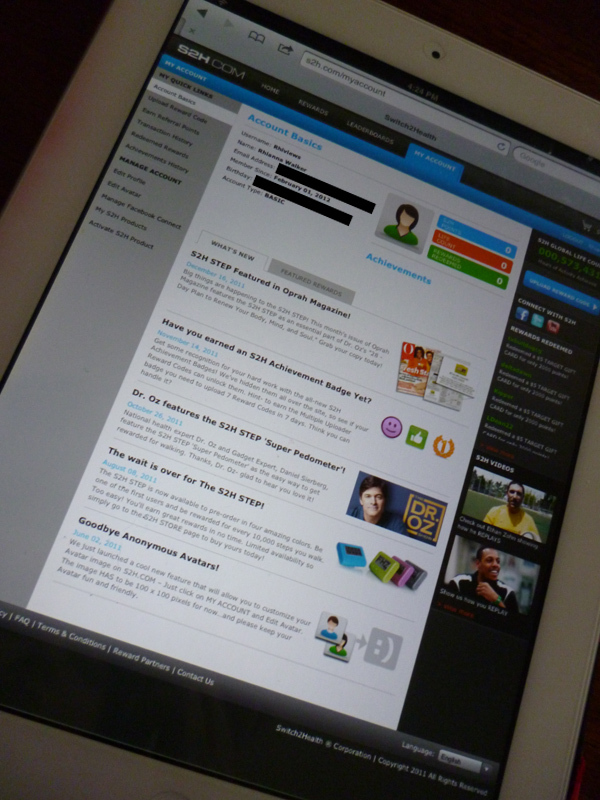 If you're a blogger I highly recommend subscribing when more slots open. You'll have great products to try and review/feature and if you're not impressed you can always cancel. 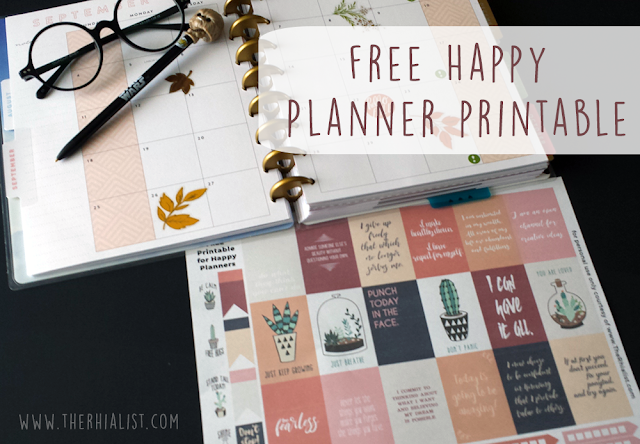 If you're not a blogger this makes a great surprise to give to yourself every month, well worth the cost of the latest issue of Real Simple and a glass of wine or a movie ticket, maybe even better!